The one common theme among brides-to-be is the desire to have stunning hair for their wedding day. There are plenty of different styles to incorporate if you have short hair, but you have nearly endless opportunities with longer hair. Some brides don’t want to grow out their hair, so they opt for shiny hair extensions instead. This gives them more options for their wedding day hairstyles, and then they can just remove the extensions afterward if they want to. If you’re new to hair extensions, here are the different types you can consider for your wedding day. Clip-in hair extensions require no commitment, since you simply clip them in on the day of your wedding and remove them whenever you want. The only difficult part with clip-in hair extensions is they are sometimes difficult to hide the clips. 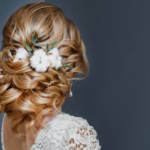 It will take some practice to get them in the right spot, or your professional stylist can handle it for you on your big day. Tape-in hair extensions will look great for a few weeks, so you can apply them a week or two before your wedding to experiment with different styles. These extensions work by using an adhesive to adhere as close to the root of your natural hair as possible. When applied properly, you shouldn’t even be able to tell you have extensions. And when you incorporate the best shampoo and conditioner for extensions, you can achieve shiny and healthy looking hair for your wedding day. 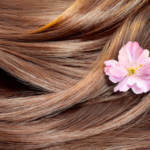 When you have a great quality hair care routine, bonded hair extensions can last for several months. 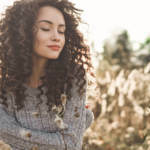 These are the most permanent options available for shiny hair extensions, and a combination of keratin and heat are applied to keep them in place. 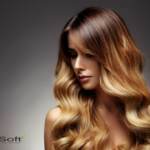 Installing these hair extensions takes some time and must be done by a professional in most cases. 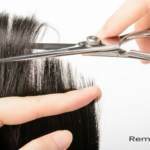 However, you’ll be able to enjoy your new length for months to come as a result. 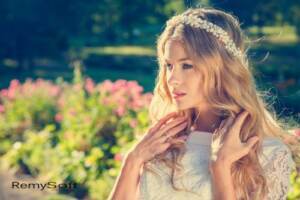 At RemySoft, we know how important it is to choose the perfect hairstyle for your wedding day. When you find the right hair extension to fit your style, we can help you maintain them with the best shampoo and conditioner for extensions. If you have any questions along the way or need styling or hair care advice, be sure to contact us at any time.